The world of orchids has been graced by a new species named after the queen of England. Yes, Queen Elizabeth II has added yet another item to her long list of namesakes. On May 23, 2011 at the annual Chelsea Flower Show in London, Katherine S.Y. Chang, a representative from Taiwan, presented the queen with a new species of orchid named after her, the Doritaenopsis Elizabeth II. This new species was derived from a very popular orchid in Europe because of its multi-blooming flowers, which is the Pinlong Chris and Doritaenopsis Sin-Yuan Golden Beauty. Actually, the orchid was discovered over two years ago, but it is just now that Taiwan has registered it with the Royal Horticultural Society. This orchid is not yet open to the public. They said that it will be two years from now before anyone can get their hands on this orchid. Chang also gave the Queen a pink butterfly orchid with 20 flowers on it, which the Queen accepted graciously and was curious about. Chang then explained the life cycle of the plant to the Queen. The Queen was just as impressed at Taiwan’s pavilion this year as she was last year, which was the main reason they were asked to come back again. 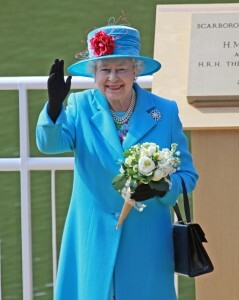 Chang also told the Queen that their theme this year was inspired by the Royal Wedding and that 100 orchid types were flown from Taiwan to Britain. The organizers then decided to put up a tour de force display to commemorate the centennial year of the Republic of China. Chang then wished the Queen good fortune for her upcoming diamond year, the prosperity of Britain’s economy, and the recent wedding of Prince William. Prince Albert of Monaco also visited Taiwan’s pavilion and Chang impressed him too on the various trivia on Taiwan and its orchid industry. The show continued from May 24th to the 27th at the Royal Hospital where over 650 participants from 16 countries showcased their plants. Are you excited about this new orchid? Can’t wait to get your hands on it? Share your thoughts with us and leave your comments below. Until we are able to get this new orchid, here’s a checklist for orchid care to help you with the ones you already have.